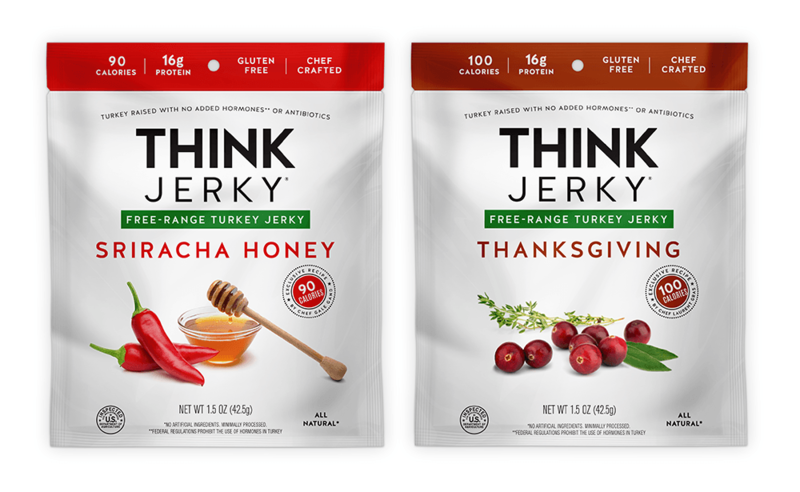 Think Jerky is a Chicago-based company that makes grass-fed beef jerky and turkey jerky. 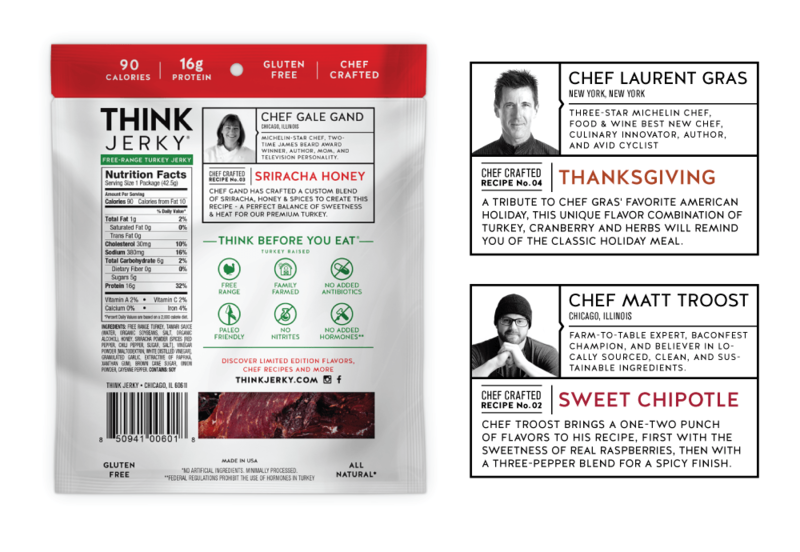 This is no ordinary jerky, with recipes created by top-ranked chefs who are profiled on the back of every package. Miller was tasked with creating a wholesome beef jerky brand identity, that would appeal to a wide demographic of consumers, including women (who are generally not the primary target for beef jerky). Because beef jerky is high in protein and low in fat and carbs, it’s a terrific energy booster when compared to higher carb convenient snacks. 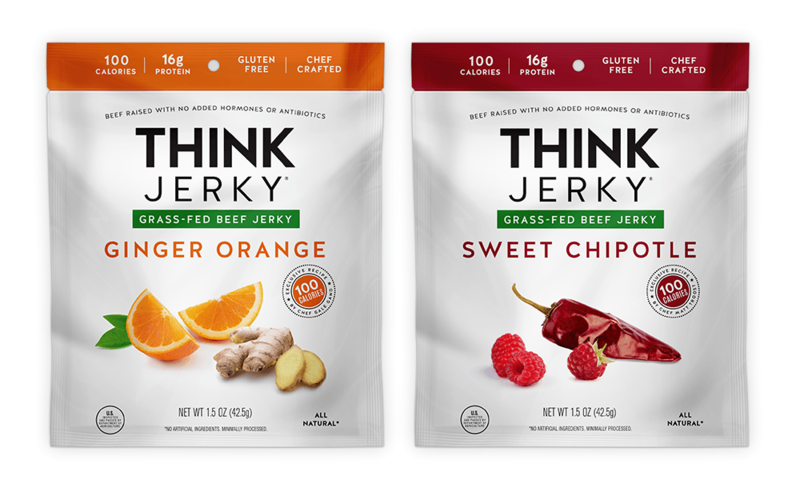 We created Think Jerky’s brand identity, logo, packaging design (pouches, point-of-sale units and shipping bags), copywriting and overall creative strategy. The products are sold through their website and at retail locations nationwide. 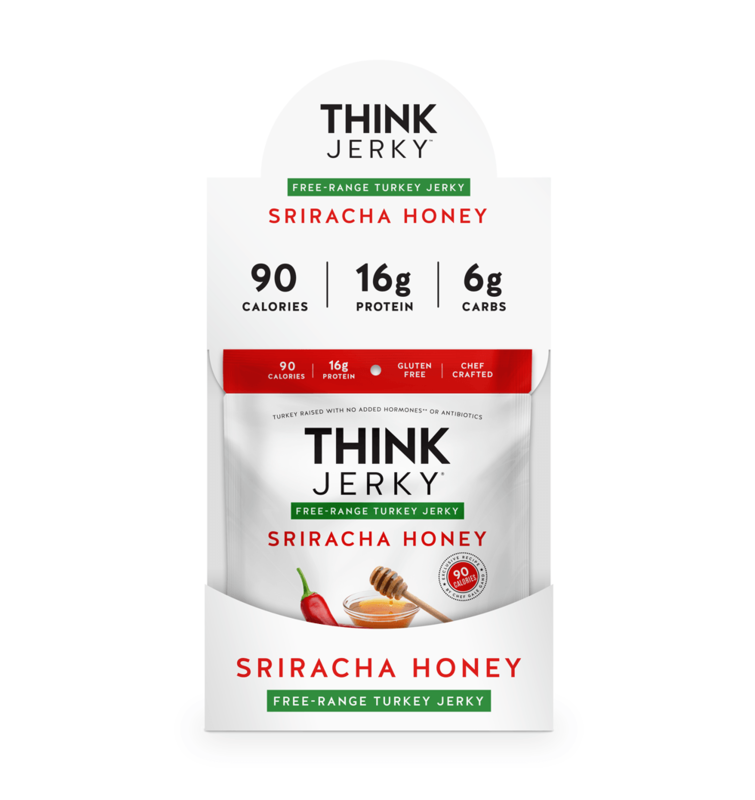 Think Jerky is sold in Starbucks, GNC, Northwestern University and 6,000 stores across the country, including gyms, hotels and travel retail. Think Jerky is even available at Google headquarters. The brand brought in over $1 million in sales within the first year post-launch and is projecting $8 million for 2017.